Look at http://www.jadecat.com/tuts/colorsplus.html?color=cadetBlue These are colours you may use.Then edit wsprrc.win in the WSPR folder. Then you can have two, or more WSPRs in different colours. You can change the colour of wspr.ico to match. And allocate that icon to a shortcut.. You can also alter text size and font. Lots of time required! Jon Ove, LA3JJ started me off with changing colours, wasting my time. 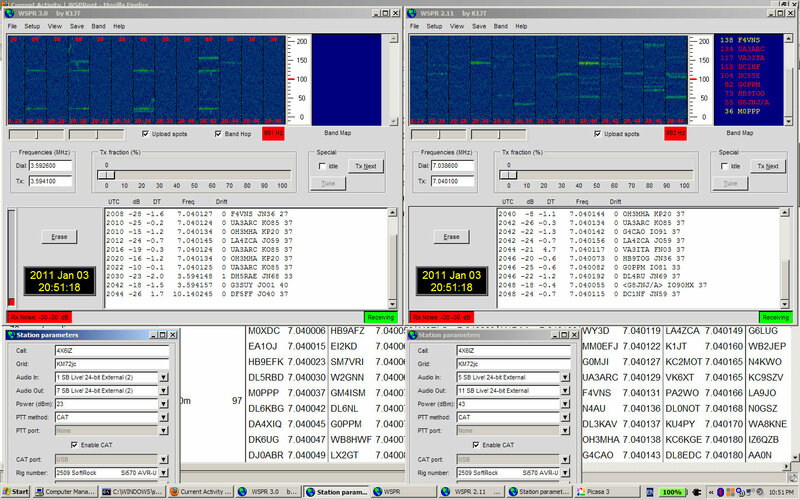 He runs 3 instances of WSPR, I have sometimes done this 2 RX/TX and another RX. Thanks Alan. I’m running the two instances of WSPR with no GUI at all (I hacked the python to remove the GUI). They run on a small computer that’s running Linux and is not connected to a monitor or keyboard, just to a network cable and the radios.